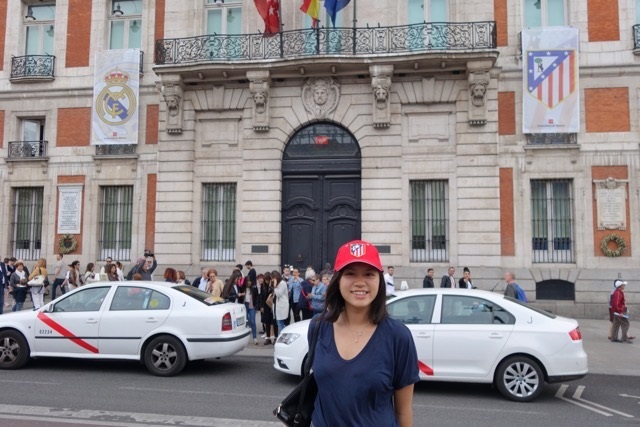 Even after applying and being accepted into the Columbia in Paris program, I was very skeptical about leaving New York and heading to a foreign city with an entirely different culture and language. However, given the quality of my experience in the five months I spent there, an experience I will always look back on and be grateful for, I can say without a shadow of a doubt that I made the right decision. During these five months, I was able to explore my interest in the arts and humanities (something I was unable to do back here in New York because #SEASproblems) as I was in one of the most beautiful and historical cities in the world. This granted me a high level of exposure and the opportunity to experience first hand the masterpieces of western art (shoutout to Prof. Klein!) with places such as le musée du Louvre, Mont Saint-Michel, and château de Versailles among many others at my disposal. This allowed me to gain in-depth knowledge and explore a whole different academic area I otherwise would not have done if I hadn’t gone to Paris. However, the most memorable aspect of my study abroad semester was making new friends with whom I could enjoy the city and explore what it meant to be a foreign student in Paris. As I didn’t know anyone upon my arrival in Paris, I was forced to be more social and step out of my comfort zone which led me to befriend people I wouldn’t normally be friends with. With these new friends I was able to enjoy all the joys Paris had to offer, such as the unending supply of crêpes, wine and cheese, the opera, and concerts amongst many others. During this semester, I was also able to be a lot more fluent in French, a feat I achieved by fully immersing myself into the city by making French friends, developing a form of friendship with my host family and travelling around the country. To any SEAS student considering study abroad, do not think up excuses for why you can’t go but instead take the leap and go for it! The clubs, societies, and work you leave behind will still be there when you return but this opportunity to go off into the world and explore will not always be! When people ask me how study abroad was, my first instinct and what they usually expect is for me to talk about my travels and all the sights I saw. All of that was amazing and definitely a huge part of study abroad that should not be missed, but when I think about what I really gained from my study abroad experience, I think about Madrid. More specifically, I think about slowly and unassumingly becoming immersed in the everyday life of a madrileño. I remember the taste of the tapas at famous bars such as El Tigre and 100 Montaditos, but I think about getting to know the neighborhood bartenders and shop owners and poking my head in in the middle of the afternoon just to say hi. I remember the excitement of attending a Real Madrid game, but I think about sitting by the Madrid Rio park after a run and listening to the faint cheers coming from the Estadio Vicente Calderon, where Atletico Madrid plays. I have countless spots of interest saved on Google Maps, but I think about the days when I put my phone away and meandered through the streets of Madrid in the general direction of my homestay, just to see new parts of the neighborhood. One of the biggest selling points of study abroad is the ability to get a taste of something new, but this is true of traveling in general. 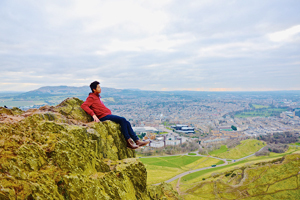 What really sets studying abroad apart is the beauty of creating a routine somewhere that is not your own and becoming a part of that place as much as it becomes a part of you. I had heard that study abroad makes you more independent; naturally, I came in apprehensive but prepared to spend a lot of time alone. Although some of my best times while in Europe were spent while I was alone, I never could have guessed that I would leave study abroad with new lifelong friends. Of course, everyone comes into study abroad with different goals and expectations and leaves with a different experience. However, there also exists a certain camaraderie among us, a shared desire to learn, to assimilate, to seek adventures. While CIEE facilitated our introductions with a two week intensive Spanish course and orientation, I believe that it is this mindset that truly allowed us to form such close bonds in such a short time. Meeting Spanish students was slightly more difficult. As the only Chinese student in a room of mostly Spaniards and Europeans, it was painfully clear that I was not local. It was difficult for me to step out of my comfort zone and attempt to meet people who had for the most part known each other for several years. As I continued to attend class week after week, however, I found the Spaniards I came into contact with not only appreciated, but also shared, the same love of adventure I found in other study abroad students; many of them spoke of trips to other countries in Europe, the United States, and even China. Along with ideas about our respective countries’ politics, pop culture, and everyday life, we exchanged phone numbers and Facebooks to keep in touch even after I left, assuring each other that we would meet again. While I went into college knowing that I wanted to spend a semester abroad, I will admit that I had my doubts in the months leading up to and even during the first days of my stay in Europe. I was worried about leaving my classes, clubs, and friends at Columbia. In reality, taking some time off from Columbia may have been the best thing I have done as a Columbia student. Studying at a top Spanish university like UC3M gave me first-hand experience with the European education system, which is more generally hands-off than it is in the US. Meeting students from other American universities and people from a more relaxed culture gave me the opportunity to reevaluate how I view school, work, and what I want my everyday life to look like. Living with a host mom in an older part of the city gave me a chance to experience a simpler lifestyle and understand generational differences. Most importantly, taking a step back from Columbia and New York allowed me to see more clearly what I appreciate and love about it while bringing home practices, words, and ideas from Spain to incorporate into my daily life. In the end though, there’s no real way to encapsulate what study abroad is in writing, or even in pictures. It consists of feelings and thoughts and moments, all blended into a fine wine (sangria, if you will) that is different for everyone, but I can say one thing for sure: no matter who you are or where you go, it’s worth it. They call it reverse culture shock. Some of the symptoms that may manifest are abject disgust at processed food ingredients, shudders when an SUV comes into view, and most of all, being completely unable to shut up about living 8.000km (5,000 miles for the plebeians) away from “the States” for 5 months. It is akin to love, except I loved not one person but a whole country of people and its depth of history, wealth of culture, and suburban-sprawl-free majestic landscapes. Where do I even begin to describe my experiences abroad? London is truly an amazing city: a fascinating mix of history and modernity. However, upon arrival, I presumed the UK and US were going to be boringly similar; after all, English was the primary language of both countries. Although I was grateful to escape the challenge of a language barrier, it was intriguing—and often frustrating—to navigate the quirks of British society. So, while I had to acclimate to the Tube and the early closing times of stores on Sundays, I also got to enjoy stunning British architecture and tradition of afternoon tea. I attended University College London in the spring semester. When planning to study abroad, it is extremely important to be flexible. Although I am a Materials Science and Engineering major at Columbia, I studied in the Earth Sciences department because UCL did not offer my major. The UCL system can be quite strict: For example, some departments do not allow students to take classes, or “modules,” unless majoring with that particular subject. 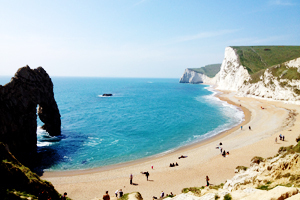 However, overall, I enjoyed my experience in the UCL Earth Sciences department, especially our fieldwork trip to the beautiful white chalk cliffs of Dorset in Southwestern England. Additionally, studying at University College London was incredible in itself. The professors were extremely knowledgeable yet approachable, and the class sizes were relatively small. The campus was located in the heart of London; I lived about two miles from campus, but on sunny days (fortunately, more frequent than I had expected! ), my walk home passed by Buckingham Palace and St. James’s Park, which was absolutely beautiful when the flowers started to bloom. They think Americans are friendly and outgoing. They are confused by kale. My biggest advice to anyone studying abroad is to join a club or society, most likely offered by the university student union. Because I play ultimate Frisbee at Columbia, I joined the UCLU team. In addition to exercise, it was a great way to meet other full-time students and travel to cities around England for tournaments; usually after Wednesday practices, we would head to a pub to hang out or grab some food and drinks. Of course, my study abroad adventure included traveling around Europe. This was my first time east of the Atlantic, so my goal was to explore as much as possible while still balancing schoolwork, finances, and soaking in life in the UK. In five short months, I was able to visit Dublin, Amsterdam, Paris, and more! Furthermore, I reduced expenses by journeying nearly everywhere by overnight bus, which was not the most pleasant mode of transportation, but made for some great stories! Traveling—with friends and alone—imparted with me a newfound adaptability, maturity, and sense of independence. Still, it was amazing to finally visit parts of the world so immersed in historical significance, cultural splendor, and architectural beauty. 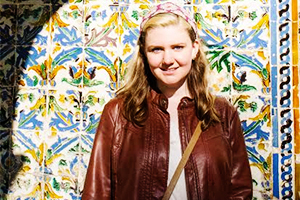 To those of you already planning to study abroad: savor your time—it passes far too quickly. To anyone undecided about studying abroad: Do it. I hope it changes your life as much as it has transformed mine. I studied computer science abroad at University College London during the spring semester of my sophomore year. All I can say is, it was an unforgettable and enriching experience both culturally and academically, and one that I would highly recommend to other SEAS students. At UCL, I was able to continue on track towards my degree in computer science while branching out into other interests, including entrepreneurship, interaction design, and medical history. For this diverse array of courses, it was both a unique challenge and refreshing endeavor to work in project groups with British and international students alike. While Columbia’s campus is diverse, interacting with students at UCL from all across Europe and the world was an international experience that I’ve never had before, and it proved to be fun and rewarding. Besides being a fascinating metropolitan city with tons of history and things to do, London is a great location for anyone who wants to explore the rest of the UK and Europe. I was able to take advantage of breaks in the British school system to travel to Scotland, Spain, Germany, Norway, Hungary, Morocco, Italy, Greece, and more. All of my travels made me realize that even New York City is a tiny, tiny place compared to the rest of the world. It was both exciting and humbling to get a taste of the diverse range of cultures in Europe. The best advice I can give to anybody thinking of studying abroad is to keep an open mind, and go for it! Spending an entire semester in a foreign country away from the comforts of campus can seem daunting. Anyone can come up with a million excuses not to go—too much work (SEAS students, looking at you! ), too involved with clubs on campus, too reluctant to leave friends behind. But while friends and clubs will still be there upon your return, how often do you get the chance to immerse yourself in another country for an entire semester, and also get credit as a university student? 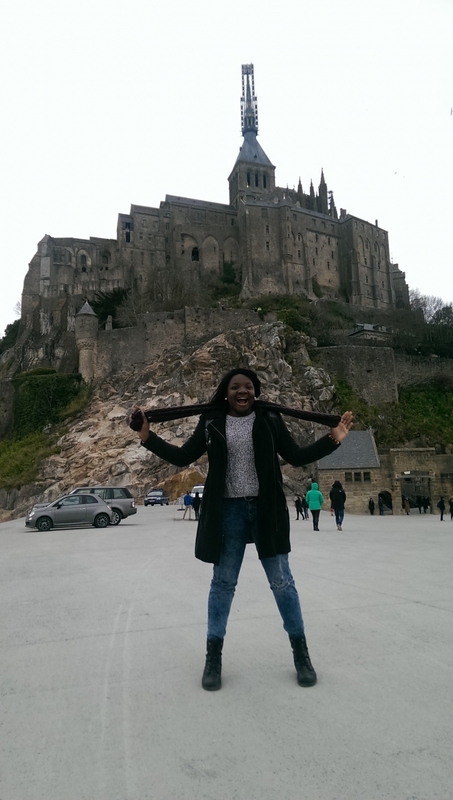 Studying abroad truly is a once-in-a-lifetime opportunity, and I encourage anyone to pursue it. Looking back at my time at UCL, I am reluctant to leave behind the incredible adventures I had (and return to boring old America). But I am also amazed and grateful that they happened. I definitely will be returning to London in the future, whether it’s for work, for play, or even for good. But for now, I’ll be returning as a junior to Columbia campus with new friendships, a more diverse food palate, an endless repository of memories, and a lot more appreciation for the wonders of the world.